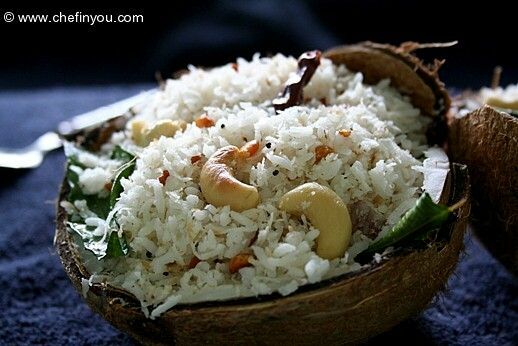 Methi Pulao is a simple Indian rice dish made using Fenugreek Leaves. Easy to make, delicious and nutritious. 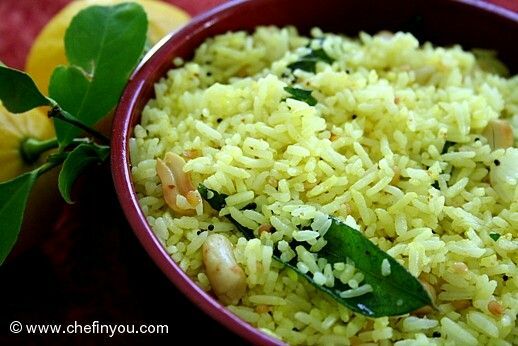 Known locally as Thakkali Sadam, this spiced rice is flavoured with tomato sauce. 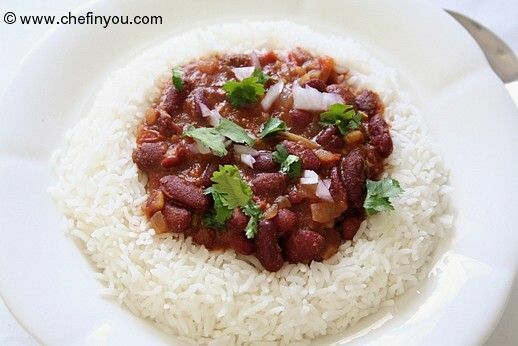 Easy to put together with leftover cooked rice, its hearty & satisfying. 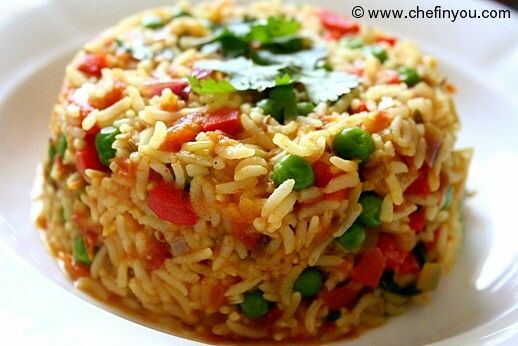 This popular Veg fried rice is simple to make and quick to put together if you have leftover rice. A versatile recipe and a popular Indo Chinese treat. 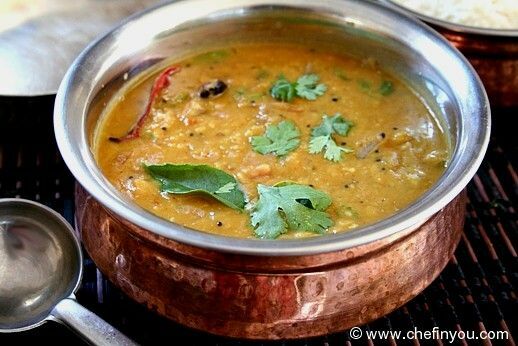 A popular Maharashtrian Breakfast recipe made from flattened rice (beaten rice flakes) with lots of onions and Indian spices. Quick and Simple to make. 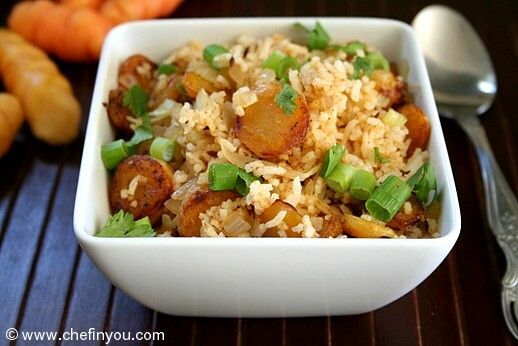 A simple rice recipe that uses pan fried Oca potatoes. 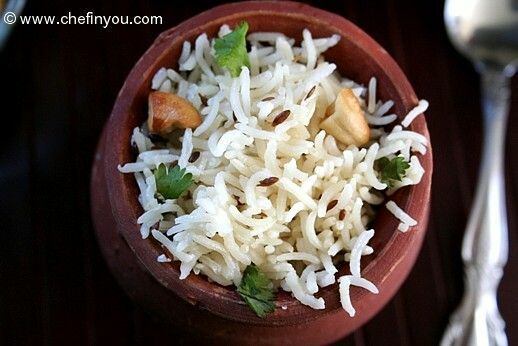 Any potatoes can be used to make this easy rice recipe. Perfect for lunchbox. 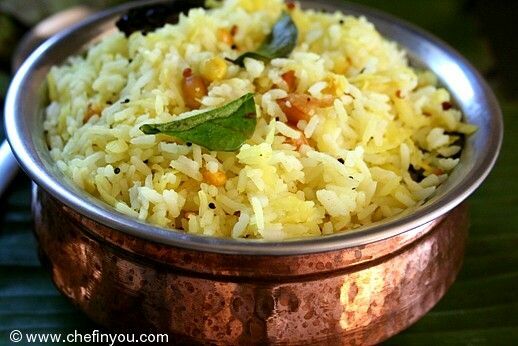 Simple South Indian rice recipe made with Green Mango and tempered with assorted spices.